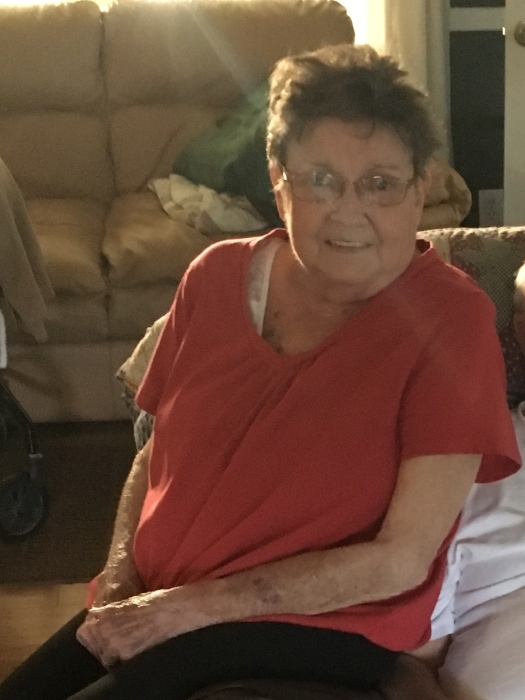 Monson/Zephyrhills, FL-Jeanne Brodeur, wife of Ronald and mother to Todd and Julie, passed away with her loving family by her side on the evening of Sunday, November 11, 2018 in Florida Hospital of Zephyrhills. She was 74. Her friends and family love her very much and miss her greatly. Jeanne lived in Monson, Massachusetts for much of her life, and she moved with Ron and Todd to Zephyrhills, Florida in the past few years to enjoy the warm weather. Before retiring, she worked at Friendly’s corporate office in Wilbraham for many years, where she was a claims manager. She had a passion for remodeling her Monson home, which was a large, century-old farmhouse. She and her husband spent several years fixing up the house by hand. She also enjoyed working with wood and crafting projects. More recently, she liked playing dominoes with friends, reading, watching NASCAR on TV, quilting, and petting her cats Mimsy and Breenie. She is preceded by her parents Elwin and Irene, her brother Dennis, and her son Todd. She is survived by her husband Ron, her daughter Julie, her brother and sister Barry and Laurie, her nieces Jennifer and Cory, and her nephews Darrell, Adam, Chris, Wesley, Michael, and Jamie. Her family will hold a private wake the following summer in Massachusetts.